To every letter of her name. Surely we shall love her till we die! Yes, we will love her till we die! So up with shield and up with colours! Take a breath and tell them who we are! We're the students of Toowoomba High! For we think she's the best of all the earth! Up colours, then up to the sky! No need to ask, How? When? or Why? Click here and sing along! We posed the question concerning the authorship of the lyrics to some past students of the 40s and 50s. It would seem that, from those conversations, Vern Webber, former orchestra and choral conductor at the Margaret Street Campus is likely to have provided them. If so, we thank him retrospectively for his efforts. If any readers have further information regarding this, we would love to hear from you. 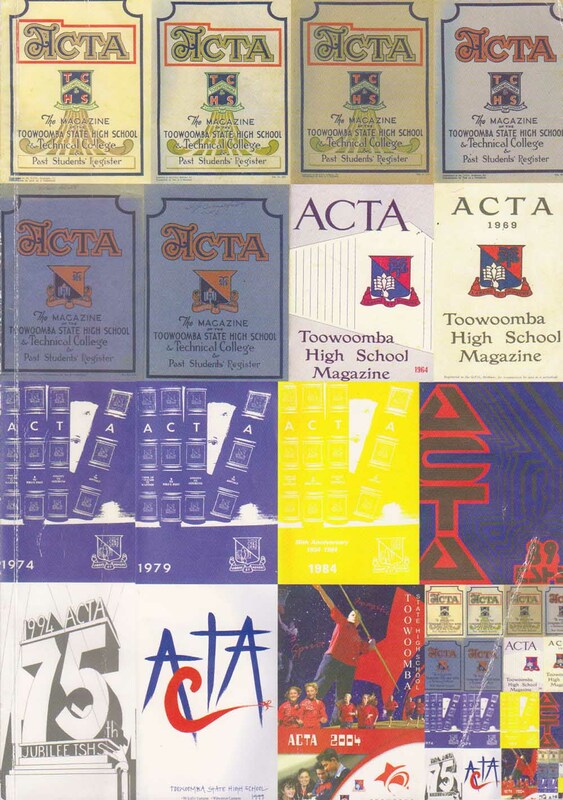 They certainly convey the proud ethos of Toowoomba State High School to this day, 70 or more years later. More recently, and since the 75th celebrations, an orchestral version of the song was arranged and donated to the school by the late Peter Rorke (OAM), esteemed music educator and conductor based at USQ. Peter also donated his time to adjudicate at the annual Music/Culturalfest, for which houses competed for a trophy. The choir under the direction of Susan Rutter, and the orchestra of the time, recorded this version and it is still used on every assembly today. The music derives from the Empire piece known variously as “Soldiers of the Queen,” or “Soldiers of the King,” depending on the reign on the monarch at the time, and was composed by Leslie Stuart in 1898, during the reign of Queen Victoria. A few years ago, Fiona Bowdern, staff member, received a donation of old music from an elderly relative. In the pile, was a pristine copy of the original, published piano/song version, which she donated to the school and has since been added to our archives. Further information about the original music can be located on Trove newspapers and it is interesting to read about Leslie Stuart’s song’s journey throughout the years. Given the connections associated with this march, it is fitting, I believe, to think that it symbolises the pride of all students and staff who have walked the halls of Toowoomba State High School – and always will. Click here to listen to a rendition of the song.